Two realities have helped shape organization life today: first, that all organizations are faced with a primary challenge: to produce consistently superior performance, or they will soon not be producing much at all. Second, superior teamwork and superior work teams have been demonstrated to be a consistent strategy for producing superior performance in providing services and products. Teamwork is what leverages the potential of an organization into superior results. Teamwork is the vehicle for integrating information, technology, competence, and resources. But teamwork is not easy, and it is not simple. For, without a clear, functional model to guide us, the task becomes so confused and contaminated with unsupported opinion and bias that it is impossible. Our approach is to provide managers and other key people with a practical model and tools that they require for building superior teamwork and developing superior work teams. 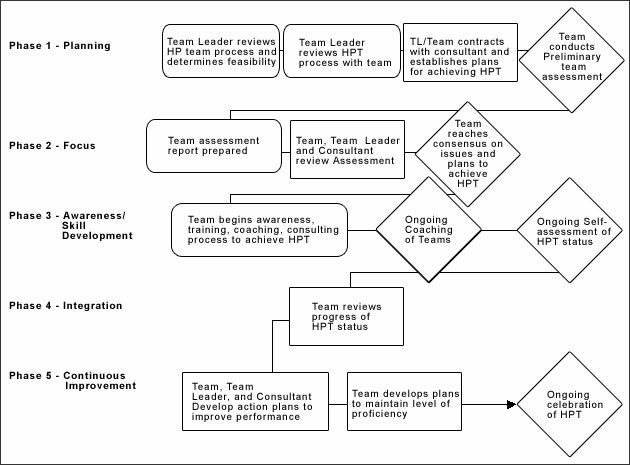 The following represents a summary of our basic approach to high performance team development.